This post is part of a series called Design School for Developers. When working on any project for the web, you should always start by researching as much as you possibly can. To be honest, you can do as little, or as much research as you're comfortable with, but I honestly feel that researching more will only benefit you when embarking on your project. Often, you'll find dedicated teams (both within agencies and in-house) which concentrate on tackling this area of a project alone. However, if you're working by yourself, possibly as the design lead on a project, then it makes sense to keep yourself as informed as possible. Research is just one way to do this and all it requires is to take your time. It takes time to become really adept at researching. Always remember to ask your client as many questions about a project as possible - and this can easily class as part of your research phase. It's all about understanding what your client wants and tailored questions will help you get more of an idea of the style they may be after, the target audience they want to reach, an idea of their competitors, what it is they like or dislike about competitors… and the list goes on. Pose as many questions to clients as you can - the more informed you are, the more sound your decisions will be. If you're not working for a client and are instead working for yourself (on a personal project for example) then try to carry out all of this research in a similar fashion - ask yourself the questions you may normally ask a client and put yourself in that position so you can flesh out your understanding of the project at a deeper level. Why Bother Researching at All? Research is important because it helps us to step away and look at the project on the whole from a distance - we can start to look more at individual components that matter. It might also be the case that clients are smitten with a particular competitor's website - or just any website that they've seen, in fact - and researching that site and understanding why they love it so much may be key to making a breakthrough later on when you're stuck into the actual design itself. Either way, the research isn't there to make your decisions for you - it is there to aid you in making decisions further down the line. It's important to make sure that you're researching to get a better understanding of your client, their industry and their work, without it impacting on the decisions that you make - at the end of the day, research is there not to force you to commit to decisions, but to help you. Before moving on to the next part of this session, apply yourself by trying out these assignments. Compile a questionnaire which you can present to clients when embarking on a project. This questionnaire can be refined and tailored to different clients as time goes on, but a basic set of questions can be an invaluable time saver. When getting used to researching for projects, it can be a good idea to start close to home. First off, start researching around something that relates to you. It could be researching agency or freelancer sites, or researching an industry for a particular side project you may have. Once you're happy with researching subjects that you understand well, try to take it a step further and start researching using the content you've previously prepared. This will get you used to trying to get better understanding of industries, people, habits and techniques that aren't familiar. Rachel Shillcock transforms brands and websites for soulful and visionary entrepreneurs through a unique blend of mastering their mindset, crafting their vision into an inspiring message and creating beautiful, purposeful designs. With over 7 years professional experience, Rachel is a #proudgeek and started playing with designs and tinkering with code at just 11 years old. 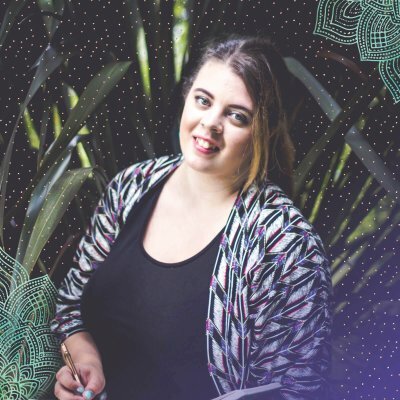 A big believer that incredible design has the power to change the world, Rachel has spoken at events all around the UK and has written for global online publications, including Envato and net magazine. She is a published logo designer, with three logos featured in Taschen’s Logo Design Volume 3, and a published author, having written A Pocket Guide to Working with Design & Brand Guidelines for Five Simple Steps. Rachel’s favourite way to take a break from tech and designing is to take long walks with her collie x labrador puppies, Storm and Jasper. Also a fan of meditation, yoga and writing, Rachel loves to spread happiness and smiles wherever she goes.